It’s been eight years coming, but the Coast Guard’s new communications’ system, called Rescue 21, became fully operational in late 2012. It now serves the entire continental U.S. along 41,871 miles of coastline, as well as the shores of the Great Lakes, Hawaii, Puerto Rico, Guam, the U.S. Virgin Islands and the Northern Mariana Islands. The Western Rivers, including the Mississippi and Ohio, will be completed in 2013, followed by Alaska in 2017. Described by some as “911 for the water,” Rescue 21 takes advantage of state-of-the-art technology to implement efficient, direction-finding features. In other words, in the case of an emergency, it can automatically find the location from which your VHF radio call originated and send it to the nearest Coast Guard rescue resource. This can significantly reduce response and search time, saving lives. The system works by using multiple antennae to generate lines of bearing to the source of the VHF radio transmission, triangulating a position. Coastal coverage currently extends up to a minimum of 20 nautical miles offshore. Rescue 21 replaces the National Distress and Response System, which had been in use since the 1970s. Along with the above-mentioned ability to identify the location of callers in distress, it improves information sharing and coordination with the Department of Homeland Security and other federal, state and local first responders. Rescue 21 can identify suspected hoax callers, thereby conserving valuable resources. The new system also supports Digital Selective Calling (DSC), which allows those in distress with DSC-equipped radios to transmit their exact position and vital vessel information to the Coast Guard and other DSC-equipped vessels at the push of a button. Mariners must first submit a Maritime Mobile Service Identity (MMSI) to enable DSC; be sure to read the manual provided with your VHF. Once the MMSI is on file, all you have to do in an emergency is flip a switch and your position and a complete description of your vessel are transmitted to your nearest Coast Guard resource. Short of having a patrol boat tailing you on your boating excursions, that’s about as safe as you’re going to get on the water today. 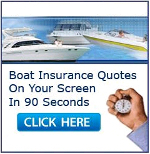 United Marine Underwriters is more than just boat insurance. Browse our Boats For Sale at Boat Browser or our Lake Resource Guide at Lake Browser or share your fishing stories and photos at True Fish Tales – the ones that did not get away. What is the maximum nm rescue 21 extends offshore. If I were “MAYDAY” 75 n.m east of us coastline would I be covered under rescue 21? In your 3rd paragraph you wrote: “Coastal coverage currently extends up to a minimum of 20 nautical miles offshore.” Extends UP TO a MINIMUM???? You may want to rethink/rewrite that!! Please help me understand “minimum” If I were 15 nm east of us coastline would I be covered under rescue 21? 30 nm east of us coastline? These notices on boating are excellent. If we are boating and the boat becomes dis-abled and we are in need of a tow, is this covered by our policy and who should we contact. Thank you for the comment. Yes our Boater’s Assistance Program provides $1500 per occurrence towing and emergency service. You can contact any towing or service company for assistance.